Stromstad is a collaborative project between Jasse Tuukki and Toni Myöhänen of STROM.ec and Kristoffer Oustad. STROM.ec of Finland have been spreading their variety of industrialized darkness to the world since their debut on Freak Animal Records, back in 2000. Since then, they have continued to make a name for themselves through such labels as Annihilvs, Malignant and it’s sub-label Black Plague. The Norwegian artist, Kristoffer Oustad, known for work under his own name, and also as part of the Kristoffer Nyströms Orkester with Peter Nyström, has proven his dynamic set of abilities as a high caliber dark ambient producer. We got a morsel of Oustad’s taste for the heavier and grittier cousin of dark ambient, death industrial on his contributions to the latest, and highly recommended, Tumult by Shock Frontier (reviewed here), which released just prior to New Devoted Human, also on Malignant Records. STROM.ec have stayed consistently heavier throughout their career, having little room for the more reserved dark ambient sections that we hear throughout New Devoted Human. So, when we get both projects together, STROM.ec and Kristoffer Oustad, the outcome is not entirely surprising in its style, but what is more surprising is the sense of fluidity and comfort these artists seem to have working together. The chemistry is what makes New Devoted Human such a gem for the small but passionate international community that follows this sort of music. Malignant Records saw it coming, which led them to the choice of giving the Stromstad debut a vinyl edition, which is something they’ve been doing more frequently, but still quite selectively. There are tracks where the two different styles come together perfectly in a single track, through a whirlwind of noise and emotion. Tracks like “New Devoted Human” with its distorted guitars, industrial drum sections, and enraged screams, blend perfectly with Oustad’s more reserved and delicate dark ambient undertones. Early in this track, we can hear that dark ambient element lingering in the background, behind the much thicker noises of the STROM.ec guys. As the track progresses these dark ambient elements slowly, and almost subconsciously, move to the forefront. The track takes on a sort of violent narrative, as we move from the viciousness of the beginning sections into this wall of subtle darkness, a sort of uneasy calm as the dust settles just after a city is besieged. Other tracks, like “Inherent Resurrection” and “Blood Consciousness”, keep the energy at maximum throughout their duration. Electronics blaring and angry vocals dictated, Stromstad give us the perfect example of a sort of post-industrial metal band. Yet, the meshing of varied genres can go even further afield at times, like on the chorus section of “Blood Consciousness” which features a dubstep-like component that is incredibly unlikely, but fits beautifully. Intermingled with these high-energy tracks are dark ambient soundscapes which help the listener to paint a picture of this imagined future, which is as technologically advanced as it is apocalyptically devastated. The listener can get a sense of a future which took A.I., military-grade weaponry, and robotics to their darkest ends, creating a war-torn planet, upon which human life is no longer so cherished; a place where greed and technology come together, achieving the worst possible outcomes. 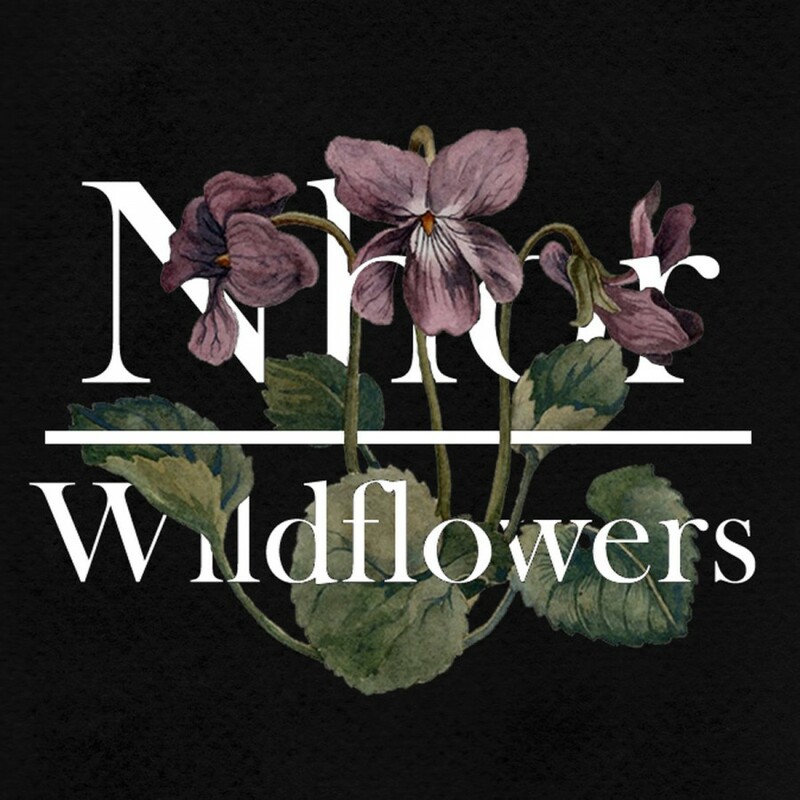 “Nattsvermer” is one such track, where the perfectly executed dark ambient elements take prominence above a tapestry of industrial noises which lie in the background. Another is the closer, “Kosto”, which is the most reserved track on New Devoted Human, using gentle waves of synth to create an almost serene atmosphere, which helps the album to end on a more philosophical than apocalyptic note. New Devoted Human is certainly a unique experience. This is something that will find a wide and unlikely set of fans. While I’ve focused on a few of the more prominent genre elements presented here, listeners will likely find a number of other genre influences which will enrich their personal experiences with the album all the more. I would foremost recommend this release to listeners that find the more dynamic releases on Malignant Records to their liking. 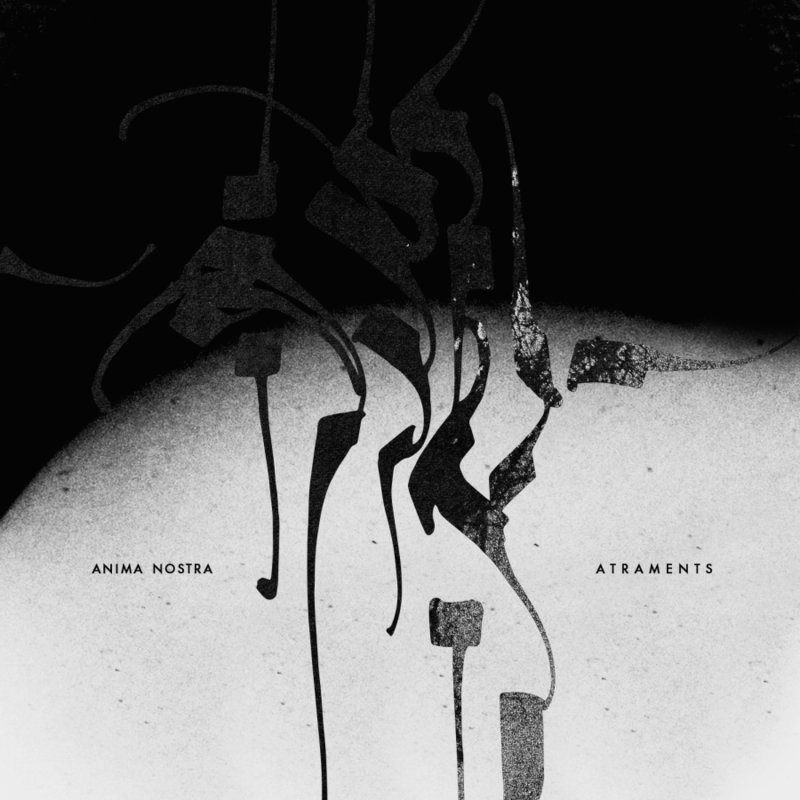 For fans of a more strict definition of dark ambient, this will be a bit too heavy, but with that said, I think it is still worth giving it a try, they really have found a nice chemistry here, which doesn’t take any one element to too great an extreme. As much as many outlets have tried to push Myrkur as groundbreaking for having a female vocalist, Amalie Brunn’s approach is a natural progression of black metal as a movement. The genre’s aesthetic lends itself to much more than barrel-chested machismo, and its musical palette accommodates ghostly chorals as well as wraith-like shrieks. That being said, Brunn’s past work left a lot to be desired in terms of fully fleshed out ideas. The components of solid folk-inspired black metal were there, but it translates more as the result of her musing about how neat it would be to try on black metal for size rather than taking it by the reigns. While Mareridt still falls shy of Brunn’s full potential, the album capitalizes on her strengths in a new and exciting way. Five of these 11 songs aren’t metal at all (Kveldssanger style, baby!). 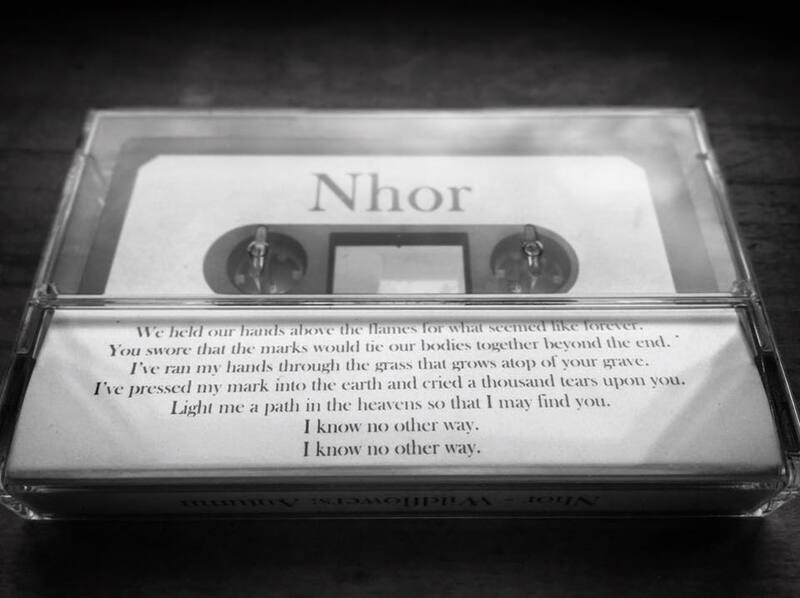 Brunn had the right idea by hyping the record around its ethereal and delicate leanings, considering the five non-metal tracks stand out the most on Mareridt. From the title track’s opening “yop” onward, she emphasizes her resonance with traditional Celtic instrumentals and vocals throughout this record. This is what makes “Måneblôt” so energizing. Harmonious tremolo picking and rushing blast beats certainly maintain their presence, but the track reaches its summit when danceable string arrangements and percussion contrast and commingle with black metal elements. “The Serpent” is arguably the weirdest track on the record. Its plodding guitar chugs and drum thuds starkly depart from Myrkur’s past sound, and it emphasizes Randal Dunn’s oddball production. 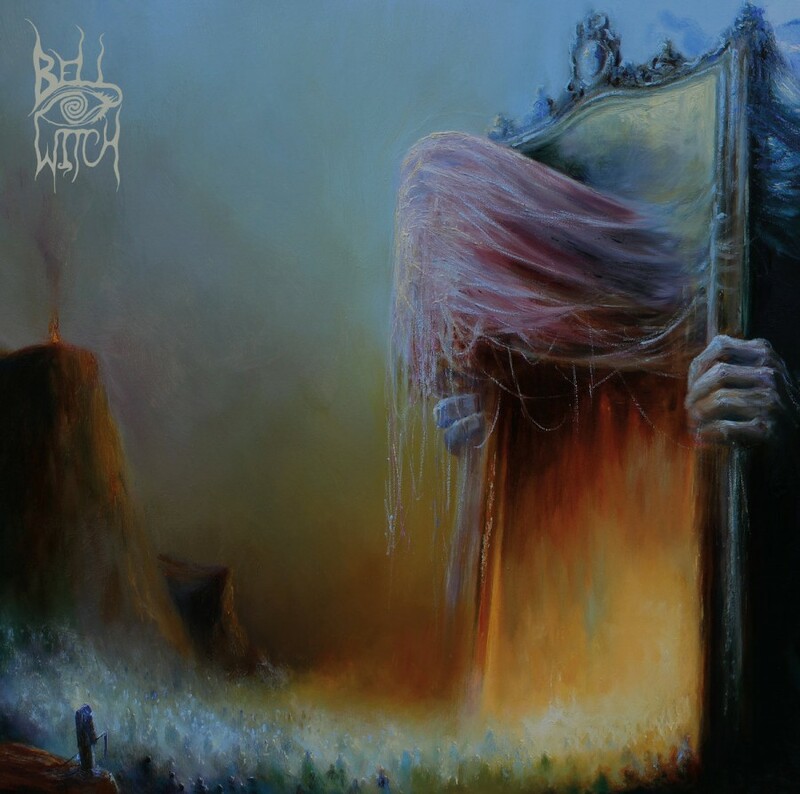 While songs like “Crown” have a vast, yet earthy sound, the harsher elements of this record have a distant, mystical sound that may even throw off seasoned atmospheric black metal fans. For “The Serpent,” this leads to moments that would ordinarily blast listener’s eardrums if played by other bands, but instead levitate listeners into another headspace. This approach provides a freshness previously absent from her sound. “Ulvide” best exemplifies Dunn’s production steering these songs away from expectations. Warm, sinister modulations suddenly drop into a brittle guitar riff and half-time beat, completely changing the song’s dynamic in an instant. The contrast between realistic Celtic traditionalism and otherworldly black metal becomes more jarring here. Pleasant orchestration suddenly becomes so elusive that one might not even hear certain parts at all without a solid speaker system, but his lack of accessibility allows Mareridt to transcend past confines and bring unique qualities to the table. Although they’ve certainly improved this time around, Myrkur’s black metal could still use more inventive structure. 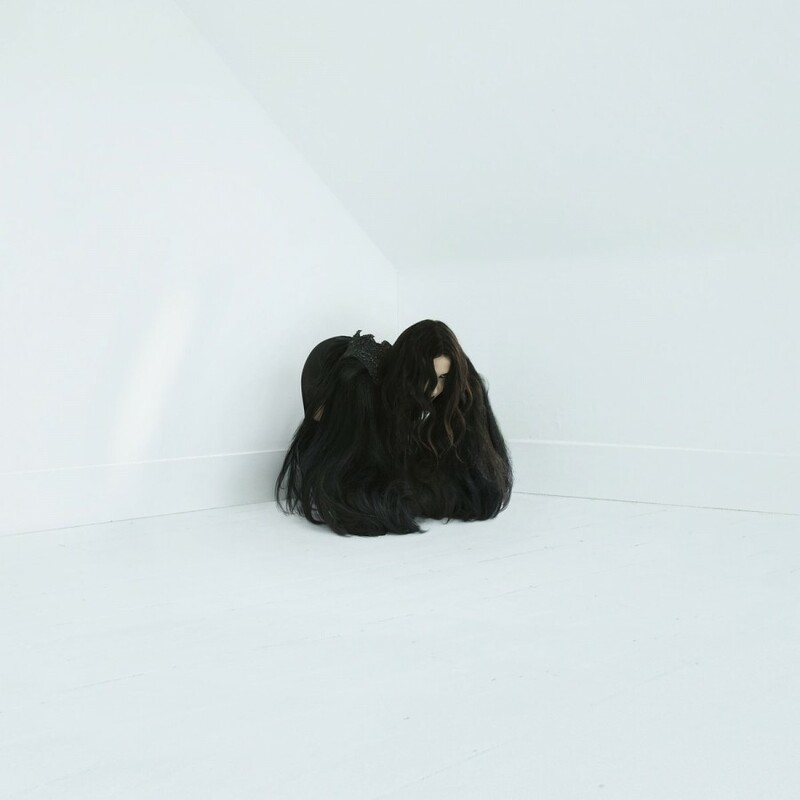 “Funeral” realizes the most potential in this aspect of her style, as Chelsea Wolfe’s sensual elegance entangles with Brunn’s elfish inflections to a gorgeous effect over an evocative collage of tumbling drums and dreary guitar chords, but “Elleskudt” is memorable more for its ornamentation rather than the solidity of its essentials. Still, Myrkur’s amalgamated tracks like “Gladiatrix” fully come off much more dynamic than ever before. While her vocal performances and ambient additions remain transfixing, this album’s structure essentially apes the style Ulver perfected 12 years ago with Bergtatt. She might be well advised to look towards Ved Buens Ende’s Written In Waters to see how forward-thinking playing could make her atmospheric prowess timeless. As mentioned earlier, the true sublimity of Mareridt manifests in Brunn’s traditional songs. Whether it be the echoing percussion and monolithic drones of “De Tre Piker” or the strange rhythmic backdrop of “Kaetten,” Brunn’s skill as a multi-instrumentalist provides a way to keep these songs believably archaic yet profoundly fantastical. The only real complaint I have about these songs is the awkward way “Børnehjem” fits into the mix. It’s droning vocal reprises and witchy spoken word, though compelling, would have translated better if it melted directly into another track rather than standing as a separate idea. 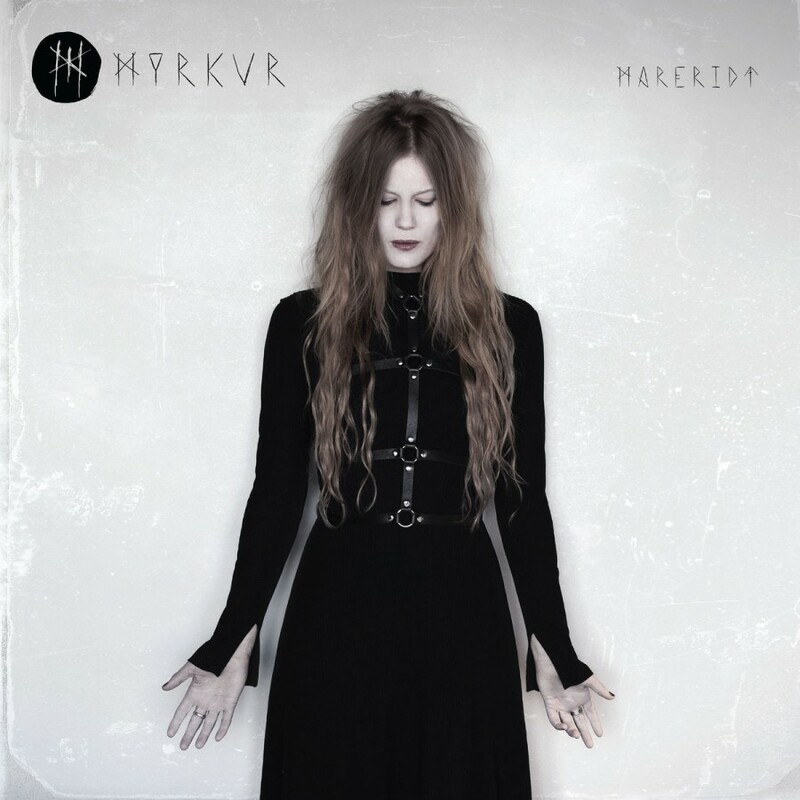 Mareridt sees Myrkur improve sonically, but the room the project has to grow remains. Its distinct atmosphere and instrumentation are a beautiful testament to Brunn’s upward tangent, and upping her songwriting will make her an inexorable force in black metal. Editor’s Note: As the first review in the “On the Periphery” section. I should first explain a bit about this section. Dark ambient is one of my many loves in the world. The purpose of This Is Darkness is for it to be a hub. A place where dark ambient fans from around the world can find news, interviews, reviews, mixes, etc. 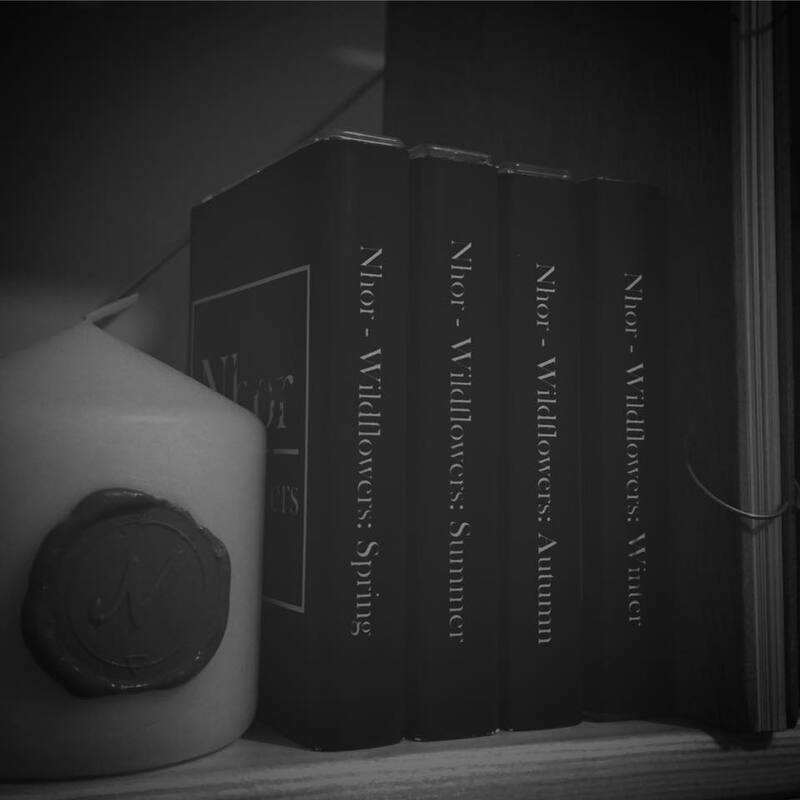 all pertaining to things that they, as dark ambient fans, would find interesting. The second goal is to bring in new dark ambient listeners. This second goal will be possible through devoting some attention to things outside the dark ambient genre, but still very relevant to, hopefully, the majority of its fans. This release is not dark ambient. It is not ambient at all. It is in fact a rap/hip-hop album. However, aside from the actual genre of the music, there are a lot of glaring similarities to be made. While this may not always be the case in the style and execution of the music, it is fair to say that these similarities are constant in the subject matter. I first stumbled across the sounds of Summon probably two years ago. At this point, I honestly have no clue of exactly when and where I made the discovery. But the music sounded really unique and had that edge of darkness for which I’m always looking. As is usually my habit, I immediately began to follow the man behind the music. It became quickly apparent how many things we had in common. 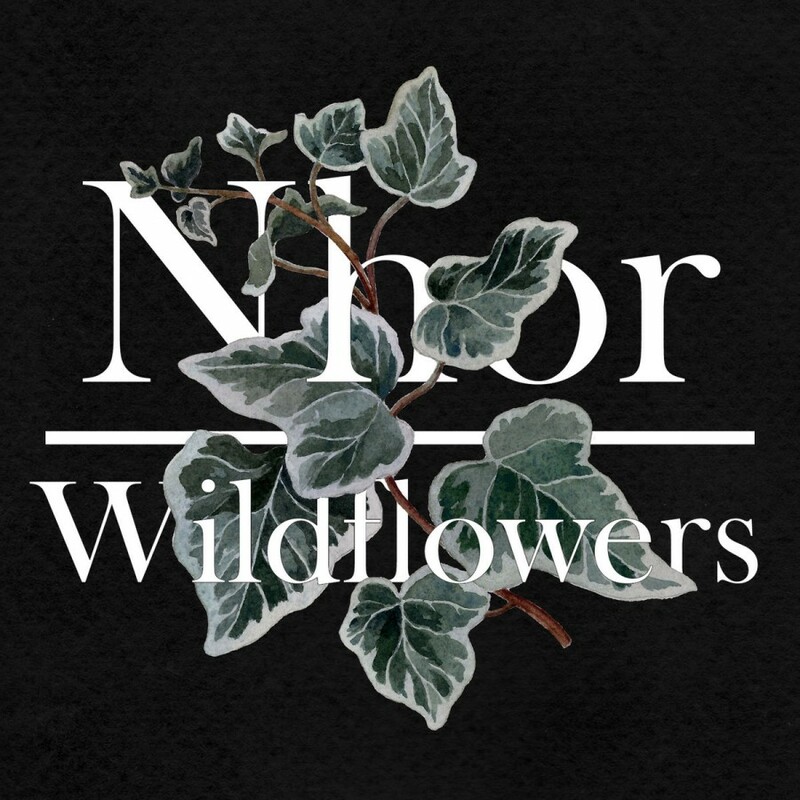 From musical interests like Sigur Rós, Chelsea Wolfe, CocoRosie, etc. to film directors, David Lynch in particular. When Summon released this album last fall, I was not in a position to review it. My old stomping grounds of Terra Relicta, was not exactly the place to cover occult-themed hip-hop music. Upon founding This Is Darkness, it became possible for me to branch out in any direction which I saw fit and relevant, so here we are! Since around 2011, Summon has been creating his form of “dark hip-hop”. I’m not talking about sounds like the trap-kings Three 6 Mafia, nor is this like the artists Bones of more recent fame. It is especially unlike the clowns in ICP! Summon immediately struck me as having a sincerity and depth that went well beyond a love for horror films or some gimmick to separate him from the flock. The music flows from the soul, and it’s immediately recognizable as such. While this does a lot for an artist’s integrity, it often doesn’t do much for their fame. A guy in Albuquerque, New Mexico rapping about subjects such as Aleister Crowley or H.P. Lovecraft is not exactly in a position to take the hip-hop industry by storm. Yet, what Summon has done is to slowly solidify himself as the backbone of the Albuquerque music scene. Summon always features plenty of local talent in his albums and never forgets to give due credit to his fans and supporters. Along the way, he’s poured his heart and soul into the running of music promotion for his local clubs. 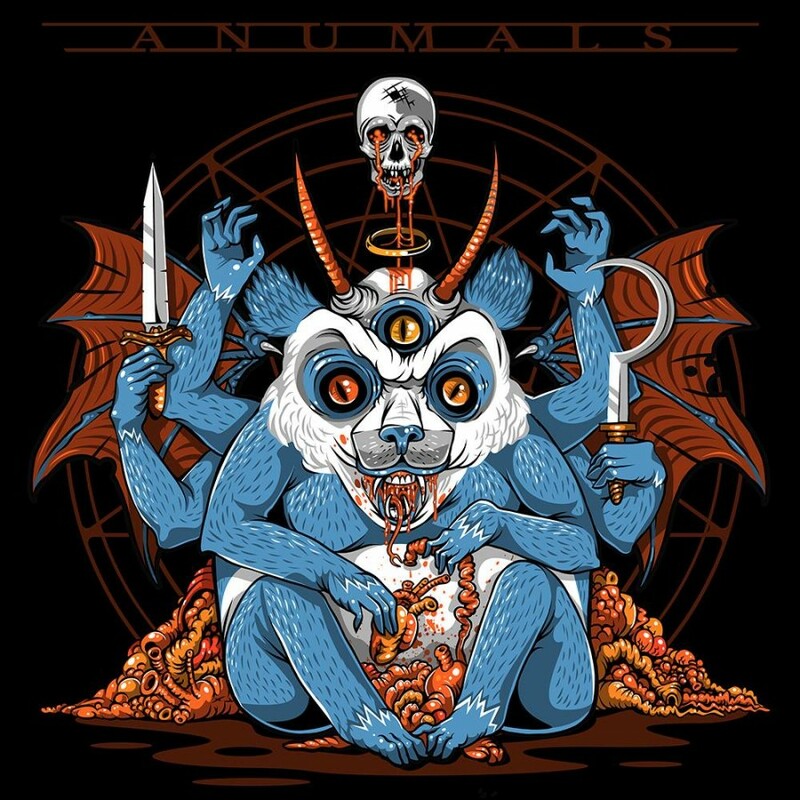 Now, I should get specifically into the sounds of this Anumals album. As afore mentioned, Summon has a great deal of interest in the occult. The album opens with an audio clip of Aleister Crowley speaking. If there were ever a moment of question about what the kind of subject matter we would find in this album, it is immediately answered. As we move into the following track, “ON3WAY” (feat. Sapience Christ), we get into some of the actual music. Sapience Christ sings in a very unusual and quite interesting manner throughout the track. 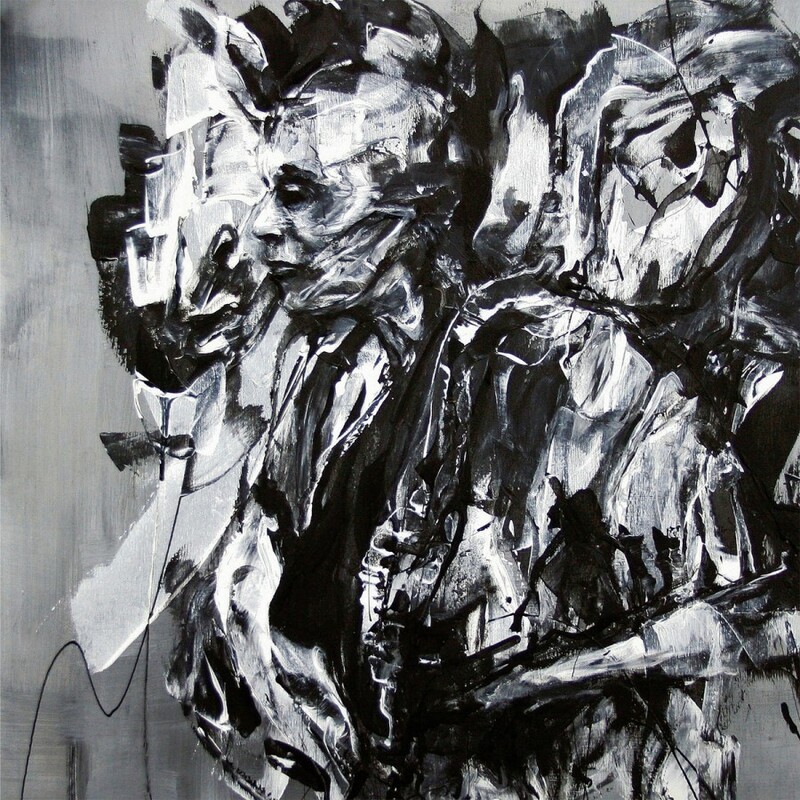 Summon contributes the verses, which on this track show some of the similarities between his style and those of some other underground rappers such as Sole and Doseone. His lyrical flow is fast paced, yet constrained and always intelligible. The next two tracks “OP3NBO0K” and “M3MO(R3)BO0T” are easily comparable for me to hip-hop greats Wu-Tang Clan. The production has that 70s cinematic feel to it, similar to the sounds that brought RZA to fame. If comparisons to other artists must be made, which in the case of writing reviews I see it as necessary more often than not, Summon stays relatively consistent in his similarities between early Anticon Records artists and those of the Wu-Tang Clan. But these comparisons don’t reflect an artist who is taking the style of others and attributing it to himself. He often moves from rapping to singing and back again. He is similar to some sounds of other artists at one moment, then his next verse will take on a style, totally unique to himself. Editor’s note: With this being the first “On the Periphery” review, I would be very pleased to hear as much feedback as possible. What do you think of the concept of “On the Periphery”? Do the sounds of Summon resonate with you in any way as a dark ambient fan? Does this development make you happy or are you reading this thinking WTF?